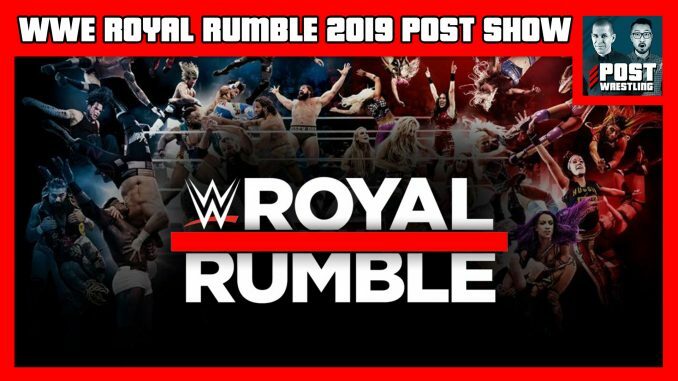 John Pollock & Wai Ting review WWE Royal Rumble 2019 from Chase Field in Phoenix, Arizona. They breakdown the entire card and discuss the winners of the Royal Rumble matches, which matches delivered and which didn’t click, the handling of John Cena’s absence, directions for WrestleMania, surprise entrants, the utilization of NXT and NXT UK talent and the length of this card. Plus, your phone calls and feedback from the POST Wrestling Forum. This show is brought to you by GRAPPL – The new wrestling rating app available now for free on Google Play and App Store. Double Double, Iced Capp & Espresso patrons can watch our WWE PPV reviews live as they’re recorded. To watch the archived recording, click here.